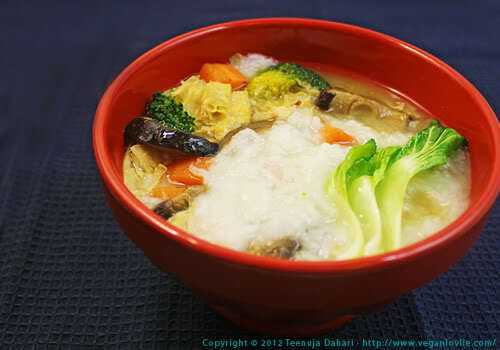 Vegetable congee with bean curd skin can be eaten as a savoury rice porridge for breakfast or rice soup for dinner. 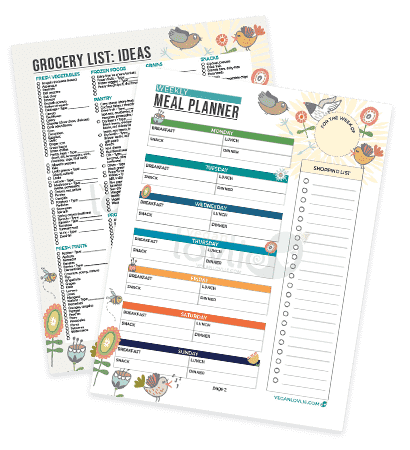 It’s a soothing meal that is easy to digest. Congee is something that I’ve recently had the chance to taste. I had never had it before but after some recommendation (from the same colleague who recommended Dehli-O-Deli) I decided to try it out at Yamamori Oriental Cafe in Dublin. I ordered the Oyster Mushroom Congee soup. While it was quite nice and the mushrooms really complemented very well, I didn’t like the amount of oil they had put in this soup. In fact, it was the oil in which the mushrooms were fried that was draining into the soup. There was the option for boiled mushrooms; I should have gone for that one instead. I’m sure a lot of people would have liked the fried version but for my taste I would have found it far tastier without the oil. Oil patches floating on soup is quite a turn off for me. But I did like this soup and have been thinking of re-creating it (minus so much oil) at home. 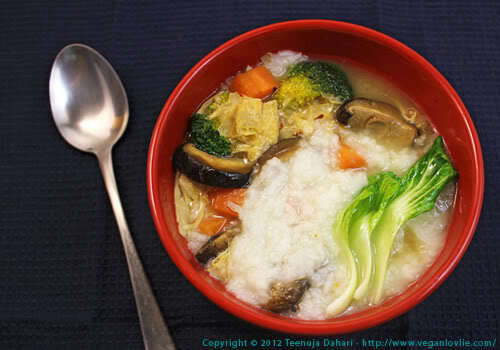 After I googled for a few congee recipes, I found that it was very easy to make at home. Most congee recipes online are not vegan though but this is so easy to veganise, in fact I don’t think it needs any recipe as it is very versatile. But I’ve written it down if you wanted to try this. Congee, in many Asian countries, is eaten quite differently. While some eat it like a savoury porridge for breakfast, others have it as a replacement for rice dishes. We had this vegetable congee for dinner as a soup and it was very satisfying. It was a soothing meal, easy to digest. The only thing is that the first time, I made far too much and we had this 3 days in a row! Rice cooked as a soup yields much more that boiled to be eaten as such. So, initially I’ve put the same amount of rice as I would have if we were to have this as rice dish with curry. I’ve adjusted the quantity in the recipe though. 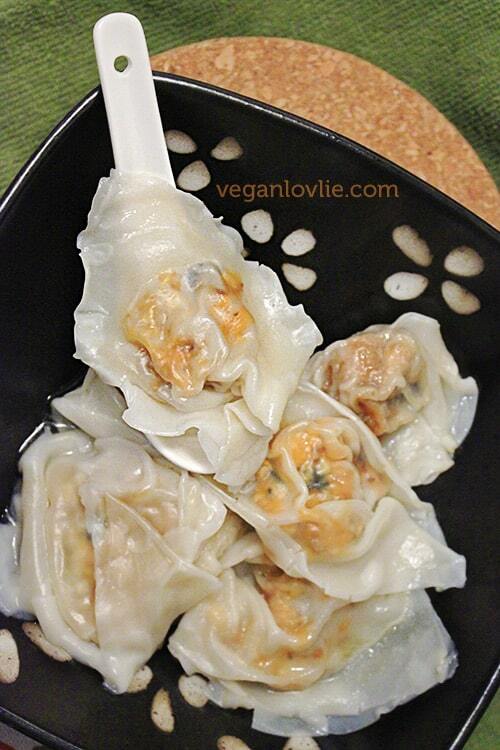 I chose to use bean curd skin in this recipe. I usually buy bean curd skin as dried sheets or strips (in the Asian market). 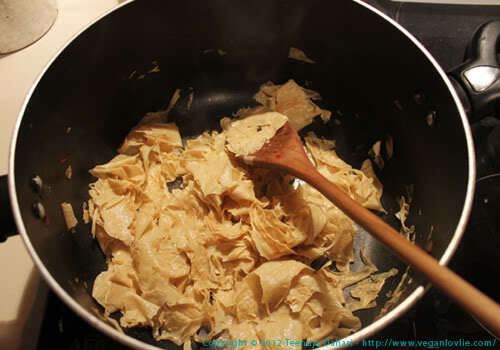 Bean curd skin, also known as tofu skin, is a film that forms on the surface of the liquid while making tofu. It is then collected and dried into yellowish sheets. I break it into pieces before soaking. Bean curd skin also is quite nice in curries. To prepare bean curd, soak them in hot water. Set aside until needed. Combine first 5 ingredients in a large thick bottom pot, and bring to a boil over medium-high heat. Cover, reduce heat, and cook 45 minutes to 1 hour or until soup has a creamy consistency, stirring occasionally. 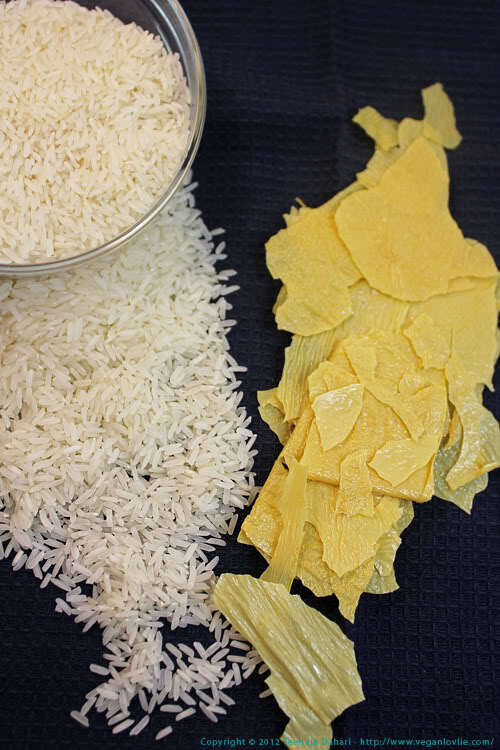 You can also lightly mash the rice. Stir in the oat milk. Remove from heat, keep warm. While rice is cooking, in another pan you can prepare the vegetables. Heat 1 teaspoon coconut oil in a non-stick pan, add broccoli and mushrooms, sauté for 3-4 minutes. Sauté pak choi for 30 seconds in the same pan (add a little oil, if required). Remove, set aside. Drain bean curd. Heat 1 tablespoon coconut oil in the same pan, add bean curd and 1/2 teaspoon salt and stir fry for about 10 minutes, or until it is soft and less rubbery. Mix the bean curd into the rice soup. 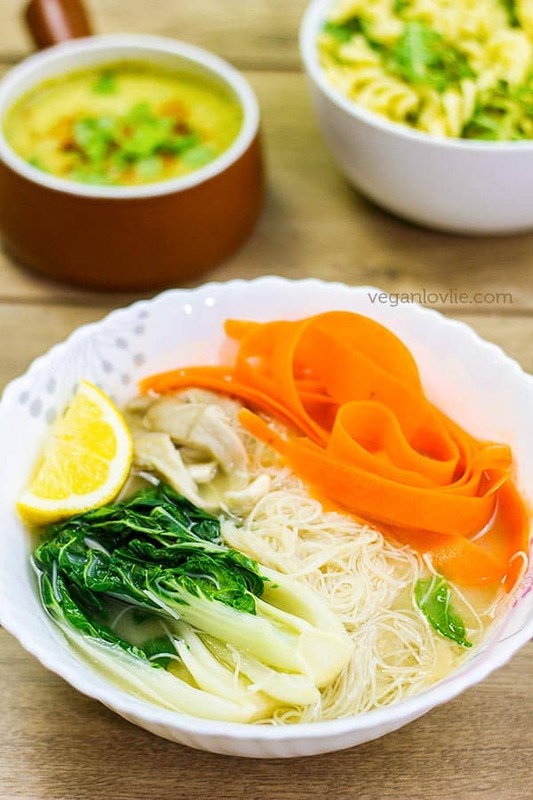 Divide soup evenly among 4 bowls; arrange vegetables and pak choi, drizzle with soy sauce, if desired. 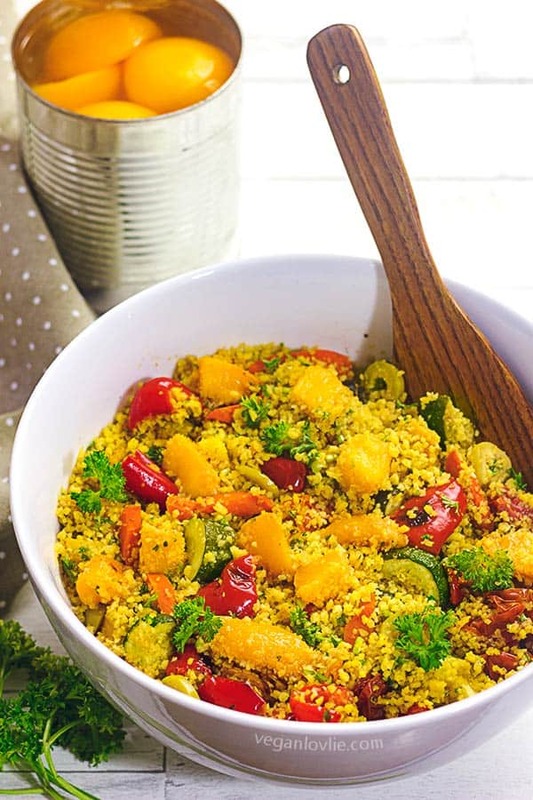 A delicious soothing rice and vegetable soup that is easy to digest. Add carrots, sauté for another 2-3 minutes. Remove, set aside. (I like my veggies crunchy and half cooked, adjust cooking time to your liking). Sautée pak choi for 30 seconds in the same pan (add a little oil, if required). Remove, set aside. Heat 1 tablespoon coconut oil in the same pan, add bean curd and 1/2 teaspoon salt and stir fry for about 10 minutes, or until it is soft and less rubbery. I am Chinese and Congee is one of the best alternatives to regular steamed rice. I personally am not a huge fan myself but it can be really nice on days where you want something that&#39;s just refreshing and not overpowering for the taste buds. Ooh, yummy! ^^ I typically only eat congee for a quick breakfast or (more often) when I&#39;m sick. I&#39;ve never heard of oil in congee (unless it was from something oily) but your alternative sounds a lot better – I think I&#39;ll be making this soon, Teenuja! i havent ever heard of congee.. it sure does look like a nice bowlful of yumm.